Every soul on the planet would benefit from reading this book. I read it eight years ago and my life has never been the same. There's something about Ben Ammi's words that are just not debatable. Once you hear absolute truth, you'll recognize it immediately, because it's provable and knowable...it's not mythical. 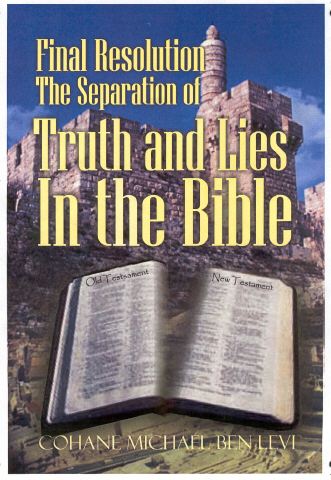 Shadrock - This book contains Biblical proof, reavealing the cause of the Blackman's Downfall. It gives spiritual instructions and advice on how to regain and retain self respect and honour. A book for everyone but especially for the Blackman and Blackwoman in America. The Forgotten Israelites reaches in the very debths of your emotion, both as a spiritual person, and as a woman. It also reminds the man of his own spiritual roots, and reveals the connection between the child of slavery and the child of Israel. Another masterpiece by the authority "Shadrock"
Astounding new book revives souls, breaking low self-esteem forever! 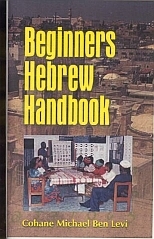 According to the author's brief and pithy introduction, stories of Moses abound in Africa, Asia, and the Near East, ... Here is the story of Moses told from the ground up, the story of law told by the bearers - of children, of law, of labor - not the makers, the decreers. 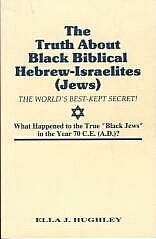 Growing Intellectually, Spiritually and Prophetically in the Hebrew Israelite Culture and Faith : A Guide for African Edenic Hebrews, Jews and Gentiles searching the Israelite Scriptures for Truth! Wolf Leslau - Translated from Ethiopic sources with an introduction by Wolf Leslau New York, Schocken Books, 1969, c1951 This is a collection of Ethiopian holy writings. Provides insight into the marginalization of Ethiopian Jews in Israel. Includes recommendations and analysis of emotional effects of the absorption process. the search for a lost tribe of Israel New York: St. Martin’s Press, 1993 Reads like a novel. Details the travels of Tudor Parfitt, one of the foremost scholars on the Lemba. Although author's pathos employs oppressive attitudes and behaviors, his ethos is of interest to Jewish diversity activists. First-hand information on DNA Lemba tests. contemporary anti-Semitism and other pressures; with an appendix on combating anti-Semitism by Milton Ellerin London: Minority Rights Group, 1987 Helps to understand the commonalities between the oppression of African Jews and the oppression of Asian Jews. 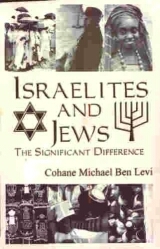 Also provides statistics from 1980’s on numbers of Jews in shrinking North African and other communities. This book offers a unique perspective on African-American economic development. It challenges many assumptions and offers new perspectives. The Wretched of the Earth by Frantz Fanon, Constance Farrington (Translator) (Paperback - April 1986) Frantz Fanon (1925-61) was a Martinique-born black psychiatrist and anticolonialist intellectual; The Wretched of the Earth is considered by many to be one of the canonical books on the worldwide black liberation struggles of the 1960s. Psychopathic Racial Personality and... by Bobby Eugene Wright (Paperback - December 1985) This is a tremendously provocative work. It expresses theses which the open-minded reader must concede are tenable, albeit they may be hard to digest. Many times Truth is hard to digest. One the most original ideas ever written on racism. This is an "acid test" book, meaning if you can read through this book, you're initiated! This is a complilation of individual essays ...The essays are designed to inspire thought within the black mind. These writings are primarily targeted toward the black youth of this day. This controversial book by Ivan Van Sertima, the Guyanese historian, linguist, and anthropologist, claims that Africans had been to the New World centuries before Columbus arrived there in 1492. The African Origin of Civilization: Myth... by Cheikh Anta Diop, Mercer Cook (Editor) (Paperback - September 1983) The main topic of this book is to show that Aficans played vital parts in the history of man from the most remote times. Black Men: Obsolete, Single, Dangerous?:... by John G. Jackson, et al (Paperback - January 2001) This eloquent, yet hard-hitting book gives a blueprint, instructions and provocative reasoning behind why Black families are in crisis today, and most of his criticsm is leveled at the "men" in the Black community who have yet to step up to the plate and claim their rightful responsibilities in the home and in the world. first step in this amirable endeavor. Mr. Rudolph R. Windsor, has a fascinating compilation of history, antropology, sociology, and theology. Drawing extensively from the Bible and many works by eminient scholars in various disciplines, the author has created a work that is at once inspiring and intriguing. If you haven't read this book, and you think you know African history - you're probably wrong. Chancellor Williams' work is an excellent, disturbing, must-read text for African Americans. It details the glories, and discusses the mistakes in black cultures that led to their present status. African Origins of the Major "Western Religions" first published in 1970, continues to be one of Dr. Ben's most thought-provoking works. This critical examination of the history, beliefs and myths, remains instructive and fresh.